With more drastic tuition hikes on the horizon, some students of color fear their communities will be hardest hit. 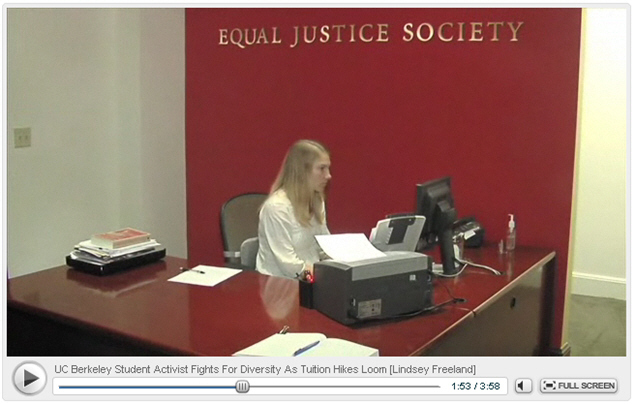 KTVU.com story by Lindsey Freeland includes interview with Equal Justice Society staff attorney Sara Jackson. This entry was posted in Media, news, News/Blogs, Schools and tagged diversity, ktvu, sara jackson, tuition, uc. Bookmark the permalink.